Found 14 blog entries for October 2016. Monday, October 31st, 2016 at 10:41am. They’ll arrange showings, set up negotiations with the seller’s agent, and even pick you up from the airport. It’s the kind of pitch a real estate agent might make. But no – this is the work of an unlicensed foreign agent working in B.C. The man on the phone is cheery and confident, with the practised ease of someone accustomed to calming anxiety. There is no need to worry, he says. Buying a home in Vancouver is simple. His company will dispatch people to the airport, then guide an inexperienced buyer through the entire process. No other company will be involved, he promises. “If you go to look at a house, our headquarters staff will take care of you,” he says. Is Buying Foreclosures a Good Deal in Canada? Sunday, October 30th, 2016 at 4:19pm. Often real estate investors look at purchasing foreclosed homes in Canada. Are there really deals to be had? What if you plan to renovate and flip it? A foreclosure is the legal process that takes place when a homeowner can no longer pay his or her mortgage. The bank or lender seeks to recoup monies owed by selling the property, wherein, the borrower loses any financial interest in the property. Sunday, October 30th, 2016 at 1:52pm. Often, during the winter, the weather seems to freeze the logic portion of some people’s brains as they head south to thaw their bodies. (Sorry, if that is a little harsh, but sadly it’s true). Given that winter weather comes to this country at different times, I thought this was a great time to start thinking about it. We land in these little warm retreats and begin to fantasize about “owning a piece of paradise.” That is when the justifications begin and as we all know humans can find a way to justify anything they really want in their life. Are the new changes in Canadian mortgages affecting the wrong people? Sunday, October 30th, 2016 at 10:01am. They are Canada’s two hottest housing markets, and even some in the real industry don’t question the need to cool prices in both Toronto and Vancouver, but that opinion changes once you get beyond the orbit of those two cities. There is almost a sense of bewilderment in places like Halifax and Edmonton or Montreal, where people wonder what overheated housing market anyone is talking about, because it’s not happening in their jurisdiction. DBRS Inc. said this week that from July 2015, to July 2016 prices across the country are almost flat once British Columbia and Ontario are excluded. Sunday, October 30th, 2016 at 9:42am. To most Canadians, buying a property is a daunting task in itself. But what about securing a mortgage? 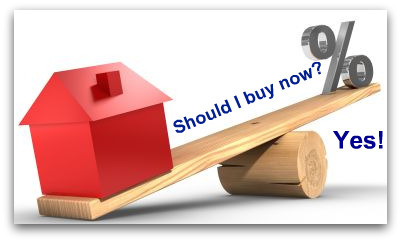 What factors are taken into consideration by lenders and underwriters that can make or break the loan? Obviously, credit is a major decider in the equation, but what exactly goes into deciding credit worthiness? What most Canadians aren’t aware of is that credit is not just a score or an ability to make payments on time. Credit is actually composed of a few different categories known as the five C's of credit. The 5 C's of credit consists of: Credit, Capacity, Capital, Character & Collateral. Wednesday, October 26th, 2016 at 2:27pm. You can always find tips and tricks for selling your home, but what do you need to know to avoid making a mistake? Here’s eight ways you squash a good house sale and how to avoid making these mistakes. Tuesday, October 18th, 2016 at 1:20pm. Well 2016 is three quarters over, that was fast. For people who happen to be planning on purchasing a house in the last part of 2016 or early 2017 there is a great deal to look forward to. Why? While they might creep up, it is nevertheless true that interest rates on home loans are at historical lows, you only need to read the news and speak to a lender to confirm this. Mortgage rules: What do the changes mean? Friday, October 7th, 2016 at 11:58am. There are new changes that are going into effect this month surrounding Mortgage Guidelines in Canada. A major shift in mortgage rules announced by the federal government this week will drive up rates for consumers and cut competition in the lending sector, say some in the industry. Who Pays for What When Buying a Home? Tuesday, October 4th, 2016 at 5:59pm. Buying a piece of property is not a simple transaction, and buyers are often surprised by the number of parties involved, who of course, all need to be paid. But how is it determined who pays for what? What is a seller expense and what is paid by the buyer? Monday, October 3rd, 2016 at 11:17am. Canadians applying for a mortgage that requires CMHC insurance will have to qualify under higher interest rates under a new “stress test” announced October 3 by federal finance minister Bill Morneau. The tougher mortgage rules were announced as part of a wider series of "preventative measures" aimed at “ensuring the long-term stability of the market” and reducing risk, according to Morneau.